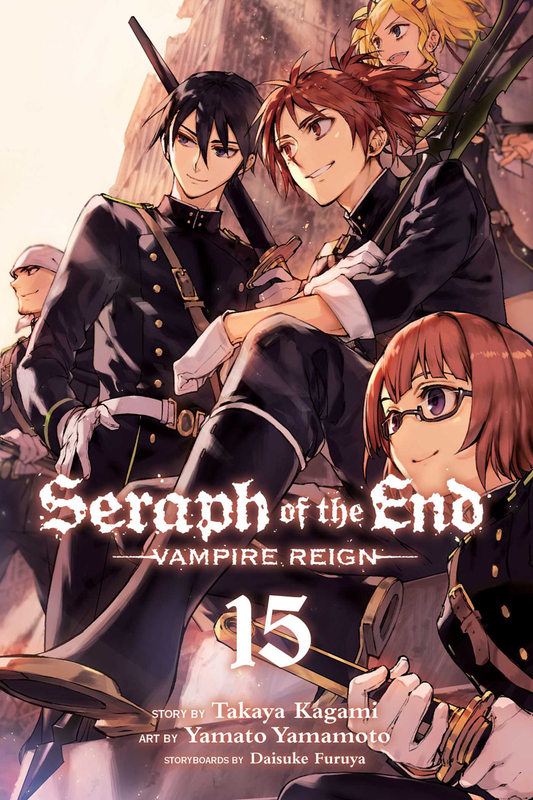 Seraph of the End volume 15 features story by Takaya Kagami and Daisuke Furuya with art by Yamato Yamamoto. 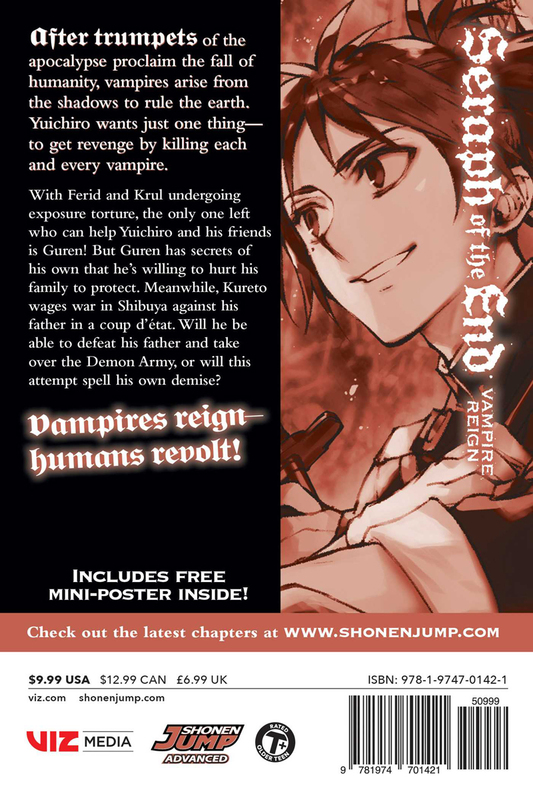 With Ferid and Krul undergoing exposure torture, the only one left who can help Yuichiro and his friends is Guren! But Guren has secrets of his own that he’s willing to hurt his friends to protect. Meanwhile, Kureto wages war in Shibuya against his father in a coup d’état. Will he be able to defeat his father and take over the Demon Army, or this move spell his own demise? This manga cover chapter 56-59, and the mini-poster looks absolutely amazing. If you are a fan of the series I highly recommend buying this for your collection.